I’m thrilled to have contributed a chapter entitled “Ping and the Material Meanings of Ocean Sound” to Nicole Starosielski and Janet Walker’s impressive volume, Sustainable Media: Critical Approaches to Media and Environment (Routledge, 2016). Go to my Publications for the full citation information and link to my chapter. I’m attending the Society for Cinema and Media Studies (SCMS) conference in Montreal at the moment. As I was returning to the conference hotel (Fairmont Queen Elizabeth) around 9:30 pm, hundreds of demonstrators marched peacefully down Blvd. Rene-Levesque in protest of the Quebec government’s austerity plan. Suddenly, riot police ran past me and fired a barrage of tear gas canisters into an intersection crowded with demonstrators. I could have missed something of course but it seemed to me to be a strange response to very peaceful protest, particularly given the recent news of a student protester in Quebec City who was hit in the face by a police tear gas canister. I asked a man standing close by who told me he lives here what had happened, and he advised me that the police sometimes need to respond when “protesters get too close the buildings.” Seems like a rather high price to pay for walking near buildings. Austerity smells a lot like tear gas tonight in Montreal. One of the key themes in the literature on law and policy in network or information societies is the idea that governments and private institutions are increasingly preoccupied with preventing unwanted behaviour. In addition to the traditional mix of after-the-fact prosecution through sanctions and deterrence of future transgression through the threat of sanction, the contemporary regime of governance, what Jack Balkin calls the “national security state,” adds technologies of prediction and prevention. As anticipated in many science fiction narratives, such as Minority Report, the target of regulation is gradually shifting from past behaviour to future behaviour, from behaviour that has already occurred to behaviour that may occur. While this trend isn’t new, it is becoming more pronounced in many areas of law and policy as digital and genetic techniques and the discourses surrounding them prop up the dream of perfect prediction and prevention. 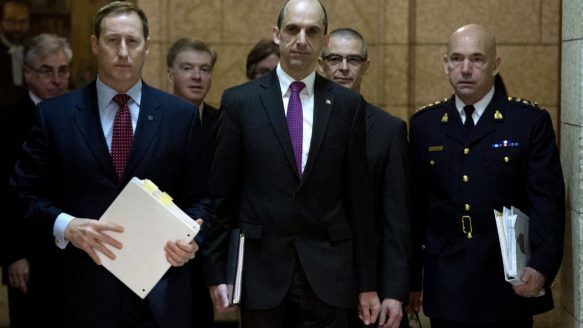 This week, Public Safety Minister Steven Blaney is asking Canadians to believe him that has looked into (or “scrubbed,” to use the Minority Report term) the future and it is marked by the rise of “radical jihadists.” Bill C-51 is packed full of preventative features, criminalizing the “promotion of terrorism” for example, which has alarmed the Privacy Commissioner and many academics looking into the proposed legislation. The idea here is that there is causal relationship between speaking about hurting or killing people and actual violence. As Blaney puts it, “The Holocaust did not begin in the gas chamber; it began with words.” A crude analogy, even by the often low rhetorical standards of Blaney and company, but Blaney at least makes his point clear: by preventing speech that could be interpreted as promoting harm to Canadians, C-51 will prevent actual harm to Canadians. This is Minority Report-style governance at its finest. The problem that Blaney faces now is persuading Canadians that the future really is full of radical jihadists – that this threat is so great that it is worth granting tremendous new powers to the security and law enforcement organizations with reduced public oversight of those organizations. Three people died in “terror”-related attacks in Canada in 2014; while this is of course a tragic loss of life, the mobilization of new security measures in anticipation of a rising tide of jihadist terrorism in Canada likely seems ill-advised to many Canadians who know that there are far greater threats right now that aren’t being properly managed the current government. Asbestos, for example. The federal government continues to support the asbestos industry and its products despite 368 asbestos-related deaths in Canada in 2013. Terror-related deaths would need to rise by well over 300 percent in the future to even begin to compete with asbestos as a cause of death in Canada. Ingredient #1: Hot Sauce (the algorithm that ranks websites by links rather than by other measures of popularity). Ingredient #2: the “clean” and uncluttered look of the Google search website (in comparison to Google’s competition in the 1990s) as well as many of its other services, such as Gmail. Google CEO Eric Schmidt likes to tell the story of he learned that Google’s slogan — DON’T BE EVIL — can actually play an important role in decision-making within the company. The story goes that one day a number of high-ranking Google employees were discussing certain forms of advertising that could be incorporated into Google’s services. At one point, an engineer pounded his fist on the table and said, “That’s evil!” Schmidt says that this generated a discussion which led the group to decide that they shouldn’t make the change in advertising. Among those changes are the strange “categories” (or “tabs”) that keep popping up at the top of my Gmail inbox: Promotions and Social. 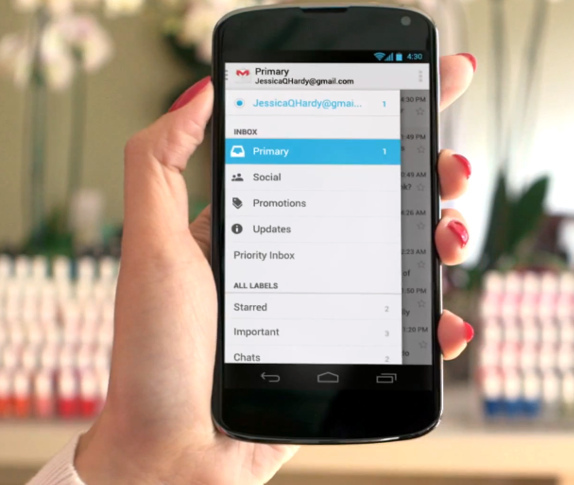 Today, I tried to removing them from my Gmail app on my Android smartphone. I consider myself to be relatively good at these things but there simply was no straightforward way of removing these “categories” from my inbox. I can go into Settings and unselect them, but there’s no “save” button. So if I unselect these categories and return to my inbox, voilà, the unselected categories are still there. Fortunately, there are plenty of fixes to this problem, none of which seems straightforward. My first thought as I began going through the steps to remove Promotions and Social was that Google seems to moving away from Ingredient #2 in its recipe for success. My second thought was about an article by Ian Kerr et al. about “engineered consent” and its many uses in government and industry to persuade people to get in line with the organization’s interests and objectives. 1. You go to the airport and you are given the “choice” of either a backscatter x-ray (i.e., body scanner) or a pat down (which would take longer and which involves a person touching your body in such a way that likely result in a memorable but awful experience). By not making a spectacle of yourself, holding up the line, and requesting to have the “traditional” pat down, you are “volunteering” and consenting to have your body virtually stripped of clothing and inspected by someone you can’t see. 2. You call your bank and are notified that your call may be recorded. By waiting to speak to someone, you are “volunteering” and “consenting” to have your call recorded. In both examples (and one can think of countless others), there really isn’t much of a choice. “Consent” is acquired by making one of the two choices the only realistic option for most people seeking a particular goal (e.g., catching a flight; speaking to a human). In other words, when confronted with the annoyance of Gmail Promotions and Social categories taking up a quarter of my inbox screen, the rational part of me will try to weigh the benefits against the costs of this annoyance. The costs might include things like giving away personal information and other privacy implications, the screen “real estate” that these chunky categories require, and my own desire to have some semblance of control over my inbox (not to be underestimated). One important benefit is that if I decide to allow these categories to clutter my inbox, I don’t have to spend time figuring out how to get rid of them. That’s an immediate benefit (I don’t have to spend 5 – 10 minutes searching around for a fix), which, if I’m the rational actor that rational choice theory supposes I am, I weigh against the costs of keeping these annoyances at the top of my inbox. The trouble is that these costs, particularly in regards to the privacy implications, are mostly unknown to me right now and probably won’t affect me immediately. Thus, I find myself weighing the immediate benefit against future costs — costs that I am liable (according to Kerr et al.) to perceive as “less bad” then they really are. So Google seems adept at engineering my choices. What this means is that Google is neither “good” nor “evil.” Google is utterly ordinary. Like thousands of other organizations around the world, Google is doing whatever it can to make control seem like choice. 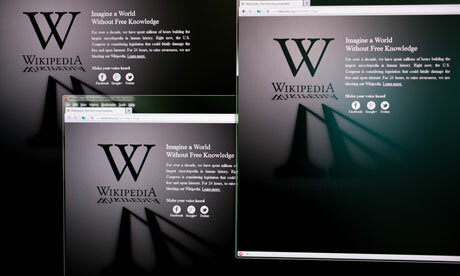 January 18: Large copyright owners were disappointed when a pair of proposed anti-piracy laws in the U.S. became the target of an online “blackout” protest by Google, Wikipedia and other websites. The House of Representatives’ Stop Online Piracy Act (SOPA) and the Senate’s Protect Intellectual Property Act (PIPA) were hailed by copyright owners as effective tools for, among other things, eliminating the threat of “rogue” websites based in foreign countries, which are allegedly responsible for flooding the web with pirated material. Google and other opponents of the legislation largely succeeded in framing the proposed legislation in terms of censorship, and U.S. politicians were soon clamoring for a chance to show the media and the public how opposed they are to the legislation. The protest was remarkably successful, leading the Senate and Congress to postpone debate and discussion until the bills are amended to address the concerns raised by critics. January 23: Copyright owners won a minor victory when New Zealand authorities arrested Kim Dotcom, the founder of cyber-locker MegaUpload. The arrest demonstrates that U.S. copyright owners appear to be able to mobilize police forces far beyond the United States. The arrest also seems designed to “send a message” that cyber-lockers or cloud storage sites are not immune to anti-piracy policing. This is also a test case for New Zealand’s new copyright legislation, which provides stronger protection for copyright by treating infringement as criminal activity. But it is a minor victory in the sense that there are many other similar sites which are still in operation and which will quickly fill the gap left by MegaUpload. 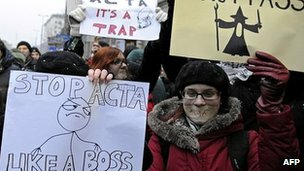 January 26: The Anti-Counterfeiting Trade Agreement (ACTA) — a proposed international agreement designed to clamp down on the global circulation of pirated and counterfeited goods — was met with opposition in Poland, where thousands took to the streets in protest. As Michael Geist notes, ACTA’s provisions for digital locks and its criminal sanctions for non-commercial infringement suggest that ACTA extends elements of the notorious U.S. Digital Millennium Copyright Act (DMCA) to the international level. 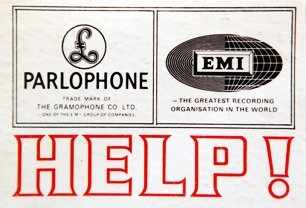 What does this series of events suggest about the ongoing struggle over copyright reform? For many years, copyright owners have lobbied governments around the world for national legislation and international agreements which suit the interest of owners, and these efforts were extremely productive in the 1990s. Key 1990s international agreements such as the WTO Trade-Related Aspects of Intellectual Property Rights agreement, the WIPO Copyright Treaty, as well as national legislation such as the DMCA, all catered to the interests of copyright owners in “stronger” protection of intellectual property. The online and offline protests, as well as the considerable news coverage devoted to them, suggests that copyright owners are finding it difficult to dominate lobbying and public debate about copyright. Scholars, activists and journalists can take some of the credit for raising public awareness of what is actually at stake in this formerly obscure area of law. But the “game-changer” appears to be the rapid expansion of Internet firms like Google, and their ability and willingness to use the many means at their disposal to shift public opinion on copyright reform. In my view, the delay of SOPA and PIPA is largely the result of Internet firms’ recognition of their shared economic interests in distancing themselves from overly-protective copyright regimes. In this context, copyright owners needed a small fish to fry, and MegaUpload (for which there are many legitimate uses and users) appeared to fit the bill.